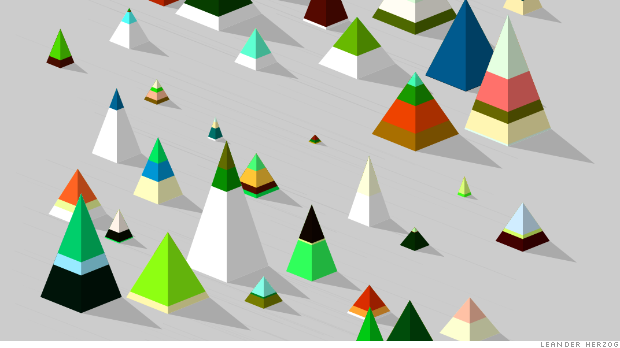 Basecamp | Animation created with d3.js by visual artist Leander Herzog. Temperature and Morality of London | Infographic by William Farr from 1848-1849. The Weight of Rain | Jonathan Corum's presentation from the Visualized conference. Palette | Free form hardware interface. Flappy Bert | The Sesame Street remix. Slope Style | Visual breakdown of Snowboarding. Cinematics | A timeline of classic films and characters. 3D gifs | Two vertical lines can transform flat images into 3. Ludo | Outdoor work by Parisian artist Ludo. Chameleonic | Illustration and lettering by Jonathan Calugi. You Might Not Need jQuery | Some alternatives to the popular JS library. Hemingway | An interesting look at sentence structure. The MicroSlice | A mini Arduino laser cutter and engraver.